This month, Andy Lopata shares his final networking tips in his series which begin with the letters “Y” and “Z”. and Andy finishes his networking tips… We thank him for his many submissions over the past two years. Please click below to see Andy’s entire playlist of his networking tips from A to Z. By knowing why you are networking and what you want to achieve, it is possible to plan accordingly and get great, measurable results. If you have any comments about Andy’s “Y” or “Z” list or any additional “Y” or “Z” words about networking you will want to add to the list. Please share your feedback to this entire series by leaving Andy a comment below. As a business networking strategist, Andy Lopata works with companies on how to use networking tools to develop their businesses. Networking is not just about sales. Whether for lead generation, breaking down silos internally, recruitment and retention of top staff or developing future leaders, networks and collaboration have a key role to play. Andy works with clients to help recognize that role and put the strategy and skills in place to leverage it. 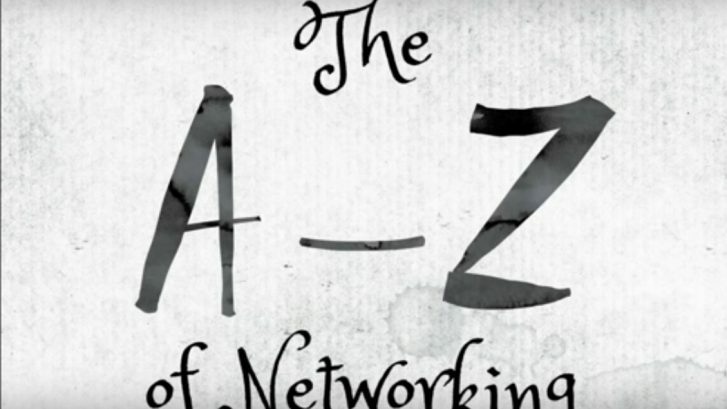 Please click below to see Andy’s playlist of his networking tips from A to Z. By knowing why you are networking and what you want to achieve, it is possible to plan accordingly and get great, measurable results. If you have any comments about Andy’s “W” list or any additional “W” words about networking you will want to add to the list. please leave me a comment below. By knowing why you are networking and what you want to achieve, it is possible to plan accordingly and get great, measurable results. If you have any comments about Andy’s “S” list or any additional “S” words about networking you will want to add to the list. please leave me a comment below. By knowing why you are networking and what you want to achieve, it is possible to plan accordingly and get great, measurable results. If you have any comments about Andy’s “V” list or any additional “V” words about networking you will want to add to the list. please leave me a comment below. By knowing why you are networking and what you want to achieve, it is possible to plan accordingly and get great, measurable results. If you have any comments about Andy’s “U” list or any additional “U” words about networking you will want to add to the list. please leave me a comment below. By knowing why you are networking and what you want to achieve, it is possible to plan accordingly and get great, measurable results. If you have any comments about Andy’s “T” list or any additional “T” words about networking you will want to add to the list. please leave me a comment below. By knowing why you are networking and what you want to achieve, it is possible to plan accordingly and get great, measurable results. If you have any comments about Andy’s “N” list or any additional “N” words about “Networking” you will want to add to the list. please leave me a “Note” as a “Comment” below. By knowing why you are networking and what you want to achieve, it is possible to plan accordingly and get great, measurable results. If you have any comments about Andy’s “Q” list or any additional “Q” words about networking you will want to add to the list. please leave me a “Comment” below.